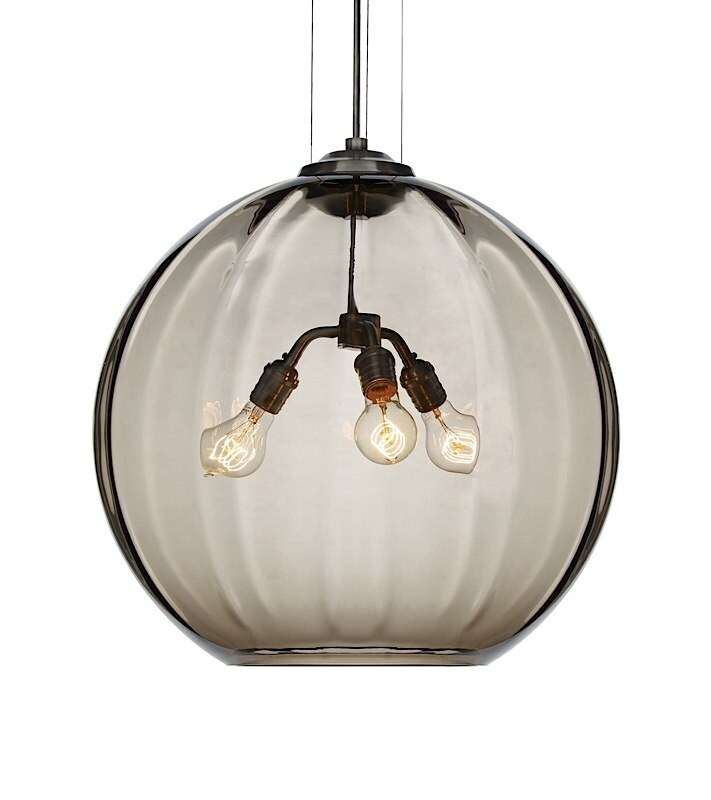 Over 20 inches in diameter, this hand-blown Murano glass line voltage pendant is truly a work of art. Classic Edison lamps and clean, modern hardware complete the look. Black, satin nickel, and white finish options come with a satin nickel cap and clear cable; antique bronze finish with an antique bronze cap and brown cable. Includes three 120 volt, 60 watt E26 medium base Classic Edison lamps. Fixture is provided with twelve feet of field-cuttable cable.